The company Pneus Ovada beyond normal warranty arising from the provisions gives a lifetime warranty protection to peel off the tire tread off-road. 1. A tire with 80% or more of the remaining tread height (in relation to the tread height of the factory tire, w / tread height is measured from its surface to the surface of the TWI *) will be replaced by the new Pneus Ovada tire of the same size. And the type or size and type of correspondence, if changed. 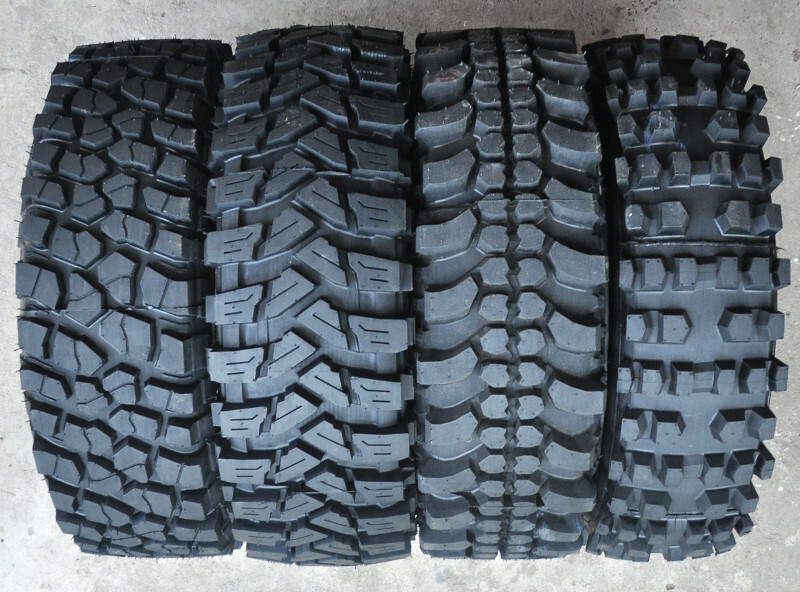 Height of remaining tread <20% - without discount. The discount is calculated on the basis of the suggested gross retail prices. TWI * - tire wear tread wear indicator = 1.6mm, located on the tire tread circumference. Tread wear at least one spot on the tire's TWI indicates the total tire wear! 14. By tire wear due to mechanical faults of the vehicle. Note: Heavy, extreme off-road tires with thick, expressive tread blocks (Extreme T3, Maxi Croos) may indicate very high unbalance values. The manufacturer does not recommend balancing such tires. Complaints will not be processed. The warranty is based on proof of purchase. The advertised goods are sent, if necessary, to the seller's service at the advertiser's expense. Recognized complaints and mentioned new goods are sent to customers at the expense of Keram Dariusz Marek. Pleasure of using reliable Pneus Ovada tires! New tires are guaranteed according to the manufacturer's rules.